REDZEL steps up to 1200m for the Group 3 Hall Mark Stakes for just the second time in his career on Saturday, with co-trainer Paul Snowden issuing a warning to any rival that considers taking him on when the gates open at Royal Randwick, as they’ll only be damaging their own chances. Paul Snowden is confident that the son of all-conquering sire Snitzel will see out the additional 100m in trip, and his form on the Sydney wet tracks this autumn has been exceptional. 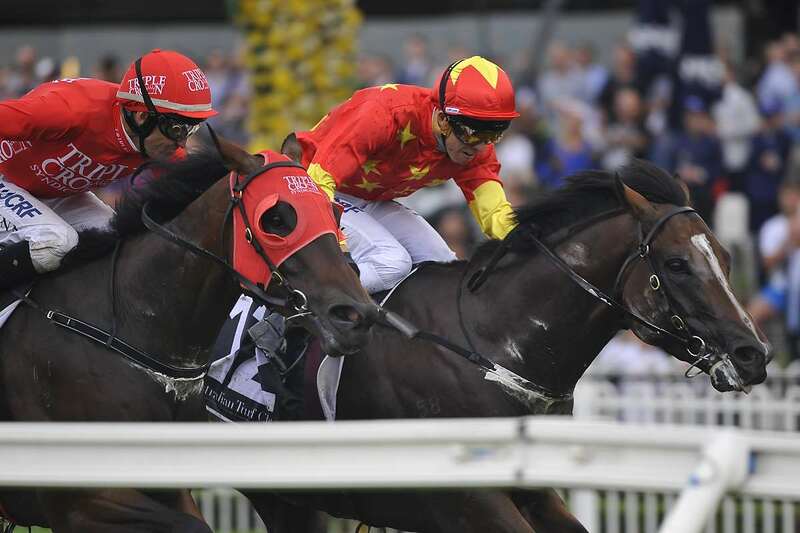 The four-year-old opened his preparation by going down just a nose to Group 1-winning mare English in the Group 2 Challenge Stakes on March 4, and followed that up at Group 1 level, finishing second behind talented stablemate Russian Revolution. In a busy Saturday for the Triple Crown team, Rockin’ Red Rocket goes second-up for the preparation over 1400m at Kembla Grange, after finishing his race off well at the same track a fortnight ago over 1200m. In addition, talented two-year-old filly Moss Trip makes her first start on the same card, after trialling well at Randwick most recently, on March 31.